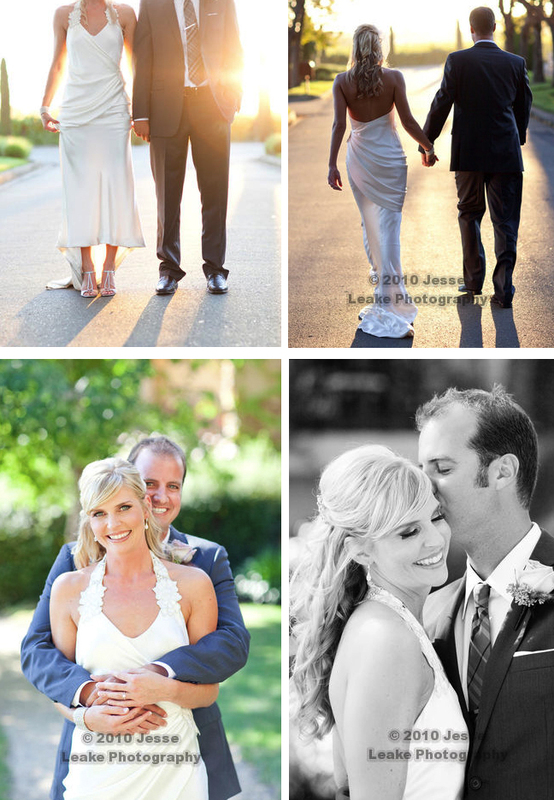 My friends darlene & colin were married September 5, 2010 in Santa Rosa, California. 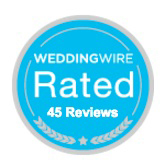 Congrats dar & col!! 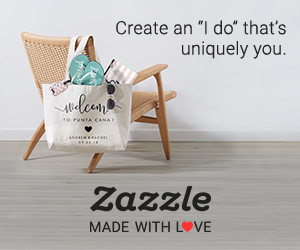 *darlene was a diy pro! 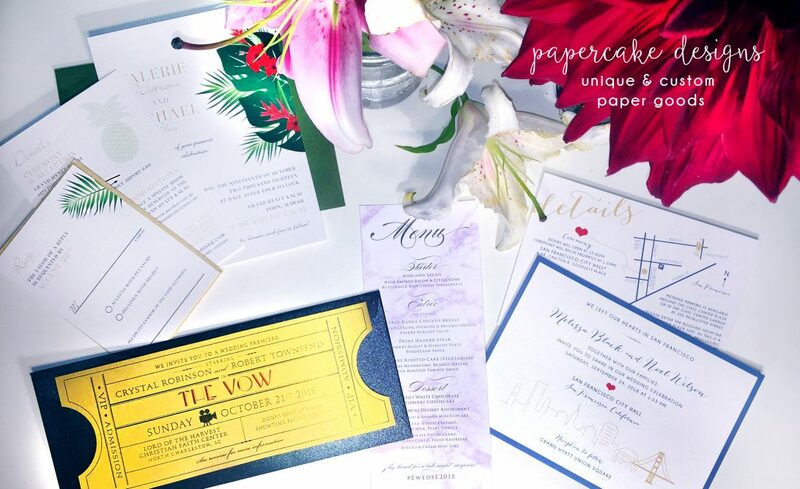 I provided the PDFs for her stationery designed & ready to print / assemble on her own. 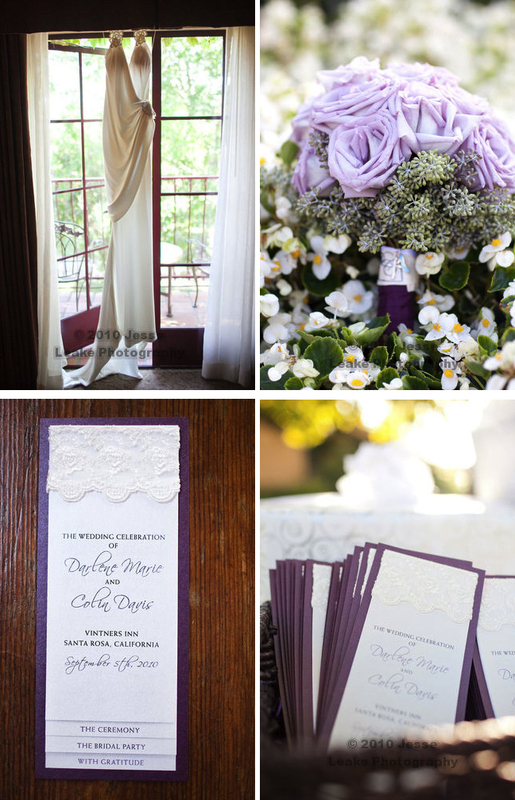 She based her wedding program on hilary & elizabeth’s layered program, but personalized the details to match her invite along with adding her own lace. 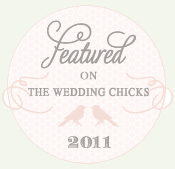 **also, read more about her wedding invitations here! 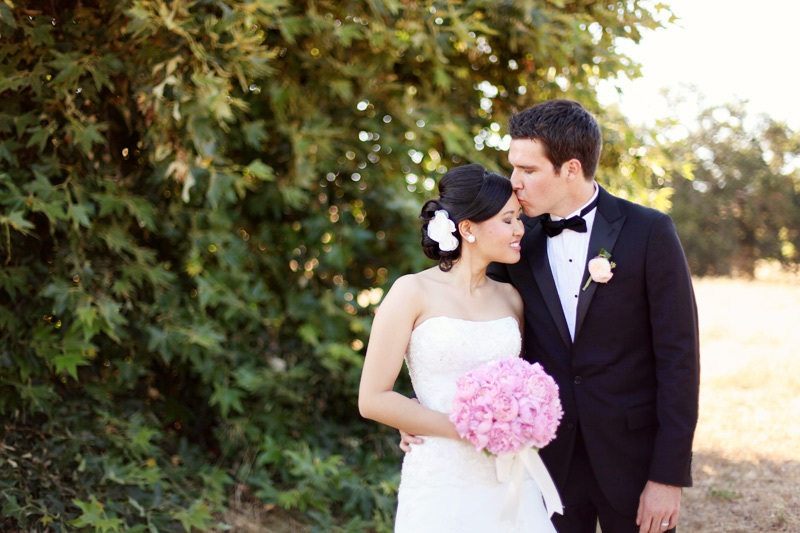 Congrats to Mai + John : married on July 24, 2010. 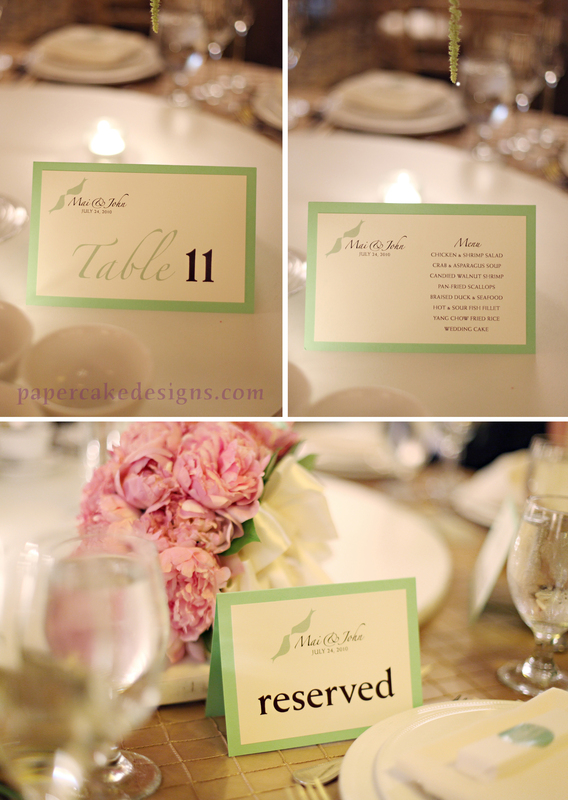 Mai was super thoughtful to share photos of the table & menu tent stationery I designed for their reception. 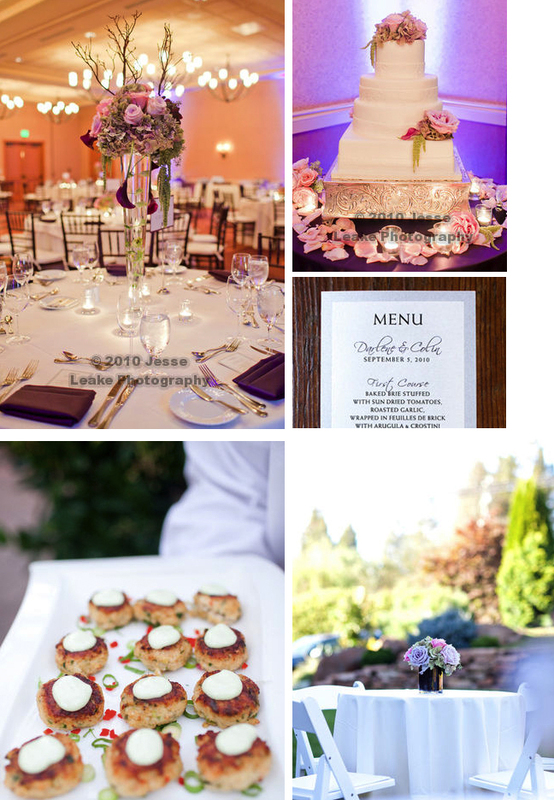 Everything looks beautiful, I’m sure also thanks to the assistance of Uyen at Sassy Girl Weddings. 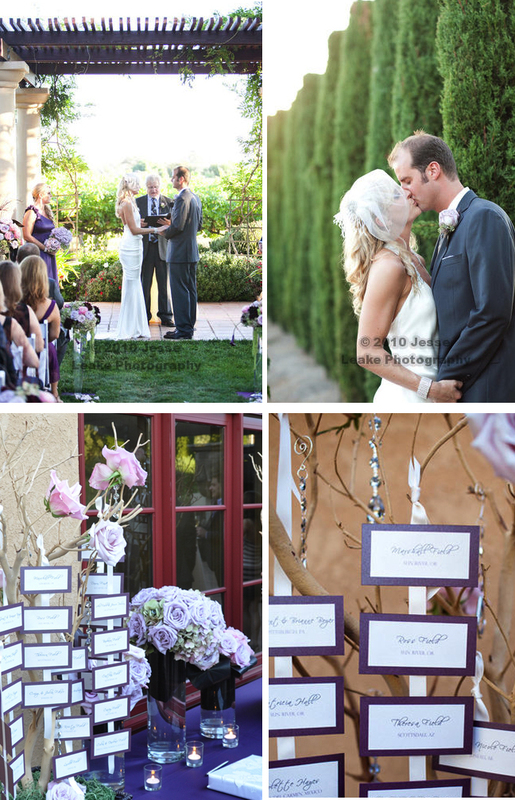 And how gorgeous is Adrienne Gunde’s photography…see more of her work on her blog & website (I love that we both chose the same flash website template from bludomain…a random & fun tidbit 😉 But seriously, I really do enjoy seeing these professional photos of the stationery on the big day, so thanks again all you brides, photographers & planners for sharing. It really does make this behind-the-scenes paper gal happy.